The peoples who created the astonishing petroglyphs on Mesa Prieta gave us a legacy that we want to honor by protecting and preserving these images for future generations. Now it’s your opportunity to create a legacy. You can create a legacy gift to the Mesa Prieta Petroglyph Project. Planned gifts are important to the protection and preservation of one of the richest rock art sites in New Mexico and you can support us without affecting your current lifestyle or your family’s security. Make a bequest to Mesa Prieta Petroglyph Project in your will or trust. Make us a beneficiary, full, partial or a percentage, of your retirement plans – IRA’s, 401(k)s, 401(b)s or employer provided. Make us a beneficiary of all or a portion of the proceeds from a life insurance policy. 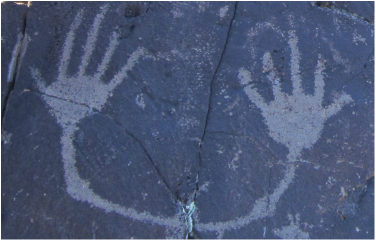 Your legacy will help assure that the petroglyphs on Mesa Prieta endure and can be enjoyed by generations to come.